There is absolutely nothing that God can’t do! And as His child He wants you to exercise the same level of power that Jesus used to overcome every obstacle that tries to stand in your way. 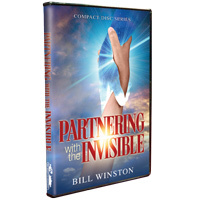 Let the revelation shared in this series help you to tap into all of the supernatural power that God has for you when you learn how to partner with the Invisible!